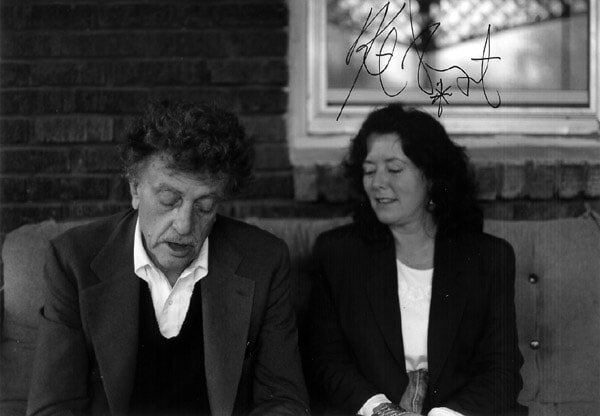 Kurt Vonnegut with Senior Editor Karen Ackerson in 1994, at a benefit for The Writers' Workshop of Asheville. These are the hardest-working editors I've come across - they are knowledgeable, painstaking and really care about their clients." E.L. and Helen Doctorow, Karen Ackerson, Gail Godwin, and Peter Matthiessen at a benefit for The Writers' Workshop of Asheville. ​I was happy to come to Asheville in support of The Writers' Workshop with 2 benefit readings. They're bloody marvelous - especially their editors at Renbourne!" - John Le Carre, author of "Tinker Tailor Soldier Spy" and 40 other novels. We were thrilled to come to The Writers' Workshop of Asheville for readings and workshops! It was wonderful for us to be together at these events!" - ​Eudora Welty and Reynolds Price, two of the South's best-loved authors. How thorough and professional! I am just so grateful for what you've given me. You're awesome!" It flows so much better now. You turn sharp thoughts into softer ones. It's a secret you possess. I'm going to make it into a story and will re-send it. I'm lucky as heck to have you as an editor!" Thank you so much for the grand job you did in editing Dangerous Seas for me. You really took me to school. I learned a lot. My writing is leaner and better already. Best of all my manuscript is ready for submission! You have boosted my confidence tremendously. I have come out of this experience with greater determination to finish the trilogy I have planned. I'll be back to ask you to assist me. Again, thank you." I plan to continue hiring your editors, as soon as I finish the final chapters. Your help has been invaluable." You're the closest I've ever come to seeing an editor at work. You are great!" Visit our Facebook for more reviews!